We raised funds for the purchase of bicycles for secondary school children in need or are handicapped. In April 2017, Mr. Dy was on his business trip in Vietnam. 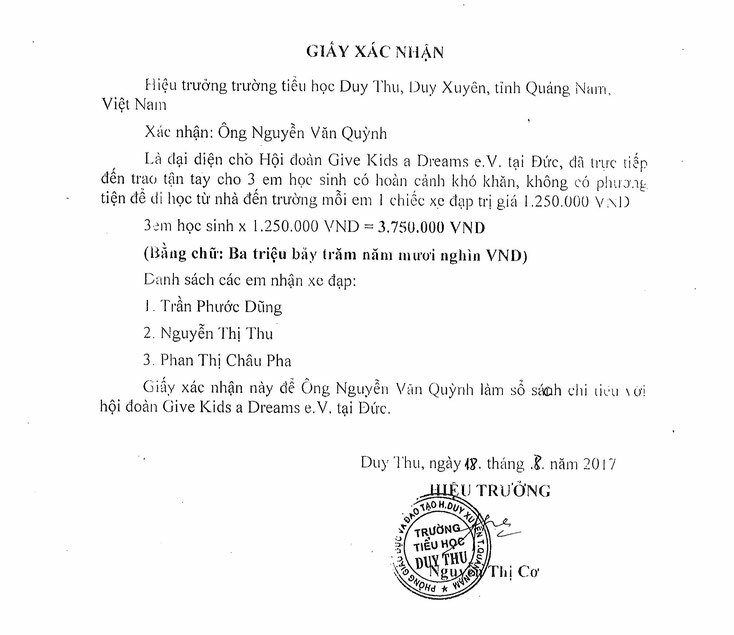 On this occasion he and Mr Quynh visited and also brought 3 bicycles to the Duy Thu school (the receipt is attached).